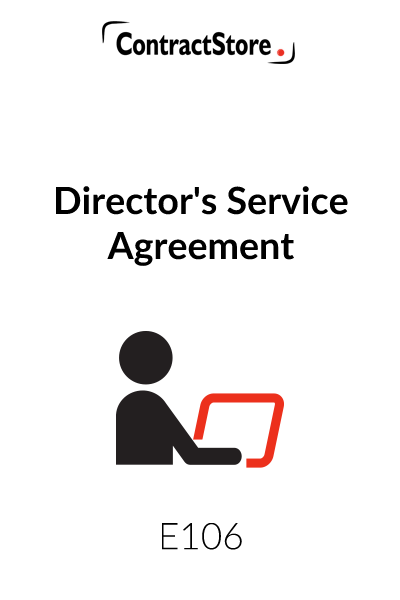 This Agreement covers all standard sections for a comprehensive service agreement (employment contract) for a Director of a Company forming part of a Group of Companies. Along with a Staff Handbook and other documents (e.g. those relating to Pensions or Bonus Schemes) it forms an essential part of the contract between the Director and the Company/Group. This document is for use when English law applies. New UK retirement legislation is incorporated into the contract. This agreement written under English law provides part of the employment contract between a director and a company forming part of a group of companies. It is customary and highly advisable to provide a contract of employment for a director in addition to appointment to the board in accordance with the requirements of company law. Please note that there will often be other documents relating to the employment relationship: principally a staff handbook (which, amongst other matters, will deal with disciplinary and grievance procedures), job description, a Health and Safety booklet, a record of any voluntary opt-out from some requirements of the Working Time Regulations, documents setting out the rules and entitlements due under any occupational pension scheme, directors’ bonus scheme and the details of any directors’ share option scheme. Specialist legal/ accountancy advice is essential before agreeing to the provision of an occupational pension scheme, a bonus scheme or share option scheme. This agreement does not set out in detail individual entitlements to/participation in bonus/share option schemes. Any contractual entitlements to bonus, pension contributions and other benefits should be appropriately provided for. 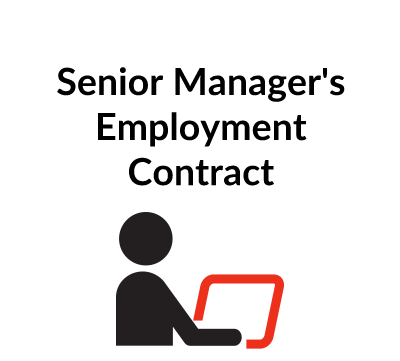 This agreement has been drafted so that it may be used together with the following ContractStore documents: Staff Handbook (E122), various Human Resources documents (including a voluntary opt-out from the Working Time Regulations) (E121), email/internet usage policy (E113) and a brief guide to the law relating to contracts of employment (Z153). However each document may be used on a ‘stand-alone’ basis provided that care is taken to ensure that there are no discrepancies between relevant documents. Where the company is not part of a group, references to “Group Companies” in the agreement should be deleted. Text in italic script and within square brackets must be adapted to conform to the terms agreed between the company and the director. It is advisable to seek the advice of a specialist employment lawyer before finalising this agreement. This sets out some essential and standard definitions. This formally records the appointment of the director, gives a job title and specifies that his/her duties may include matters not included in a formal job description. 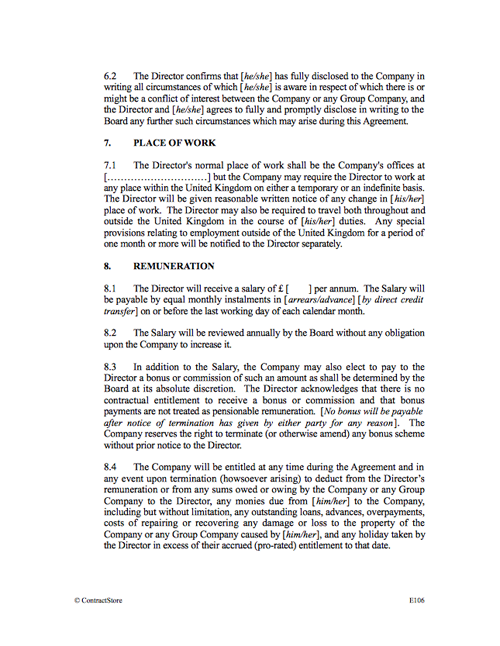 This clause states the start date for the agreement and, at clause 2.1, provides alternative wordings recording when the director’s period of continuous employment commenced: if a director has been appointed from within the company the first form of wording should be used and if the director was appointed from outside the company the second form is appropriate. It is important that the correct period of continuous employment is stated as many employment entitlements are based on continuous service, such as compensation for “Unfair Dismissal” (where 12 months continuous employment is essential) and statutory redundancy pay (where 2 years continuous employment is required). This clause provides that the Director’s duties will be as set out by the Board and not confined to the job description thus giving the Company flexibility. The Director is expected to devote his/her time to the interests of the Company (save in respect of illness, holiday entitlement, maternity/paternity/adoption leave, unpaid time off in respect of childcare/dependant relatives) and owes duties of trust and confidence (see also clause 6.1). This simply states that the Director shall work as many hours as are required to fulfil his/her duties. The Working Time Regulations 1998 which limit an employee’s hours to 48 hours per week do not apply to senior executives who are in a position to regulate the flow and pace of their work. Nonetheless it is prudent to request all employees (including directors) to sign a waiver of the 48 hours restriction. This clause reiterates that the Director is to devote his/her time to the interests of the Company and, amongst other matters, must not hold other jobs. This is drafted to give the Company flexibility as to any postings of the Director within the UK. It is made clear that there is no automatic entitlement to a salary increase at an annual review. (c) allowing a “course of dealing” to become established over a number of years such that an employee may reasonably come to expect a bonus payment of a particular size etc. Clause 8.5 provides for the payment of an occupational pension. Often company directors will participate in a self-contained scheme. Note the alternative text in square brackets dealing with situations where the Director is promoted from within the Company and where the Director is recruited from outside the Company. It is essential that any contractual obligations in respect of an individual are strictly in accordance with the rules of the occupational pension scheme. Specialist legal/actuarial advice must always be taken before setting up such a scheme to ensure both regulatory compliance and tax effectiveness. If this clause does not apply, it should be deleted. Clause 8.7 provides for the participation of the Director in a share option scheme. If no such scheme exists this clause must be deleted. Again any assurances given to the Director in respect of participation in a share option scheme must be strictly in accordance with the rules of such a scheme. Specialist legal advice must be sought before setting up a share option scheme. 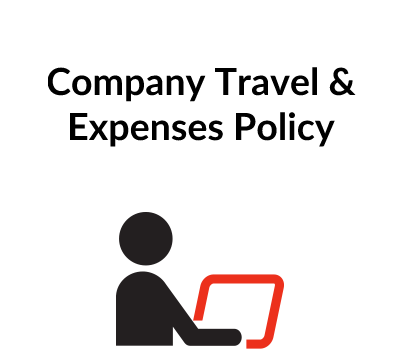 Clauses 9.1 and 9.2 set out in broad terms the obligations of the Director to account for his/her expenses in accordance with company rules and to take care of any company credit card issued to him/her. Clause 9.3 to 9.6 provides for the allocation of a company car and makes it clear that any increase in employees’ income tax or NI contributions arising from the allocation of a company car are for the account of the Director. Again it is prudent to take specialist accountancy advice before setting up a company car scheme to safeguard the Company’s tax position. Provision is made for the payment of a non-pensionable cash alternative. This entire clause should be deleted if a company car is not to be offered. Clause 10.2 makes it clear that holiday entitlement can only be carried through to a future holiday year with the Board’s consent and that the Director is not entitled to payment in lieu of holidays due but not taken. Clause 10.3 in square brackets gives the Company the right to insist that holiday entitlement must be taken during a notice period. Clause 10.4 provides for payment in lieu of pro-rated holiday entitlement outstanding at termination (with a corresponding right for the Company to recover payment from the Director in respect of any holidays taken in excess of that pro-rated entitlement). This clause sets out the Director’s obligations to inform the Company of any illness/complete self-certification forms/obtain medical certificates. The right to receive sick pay at clause 11.2 needs careful consideration: for how long and at what percentage rate of normal salary is sick pay due? Care needs to be taken to avoid liability under the Equality Act 2010. It is always prudent to take specialist legal advice if in any doubt as to whether an employee may fall within the protections offered by that act. Clause 12 sets out in broad terms the Company’s right to protect its confidential information/trade secrets. This clause, written from the perspective of the Company, provides that all intellectual property rights acquired by the Director during and as a result of his/her employment shall automatically vest in the Company. Note that at clause 14.2 the Director is prohibited from holding him/herself out after termination as being connected with the Company unless the Company has given prior written approval. Clause 15.1 sets out those circumstances where the Company is entitled to summarily dismiss the Director without payment in lieu of his/her contractual notice period, including where the employee has committed an act of gross misconduct. Clause 15.2 gives the Company the right to suspend the Director on full pay pending an investigation into any alleged misconduct: it is important that this power is sparingly used – it is not a disciplinary sanction in itself. Dismissal of a director should be undertaken only after having obtained specialist legal advice. Disciplinary proceedings must always be carried out in strict accordance with the relevant provisions of the Staff Handbook. Clause 15.4 deals with garden leave, i.e. 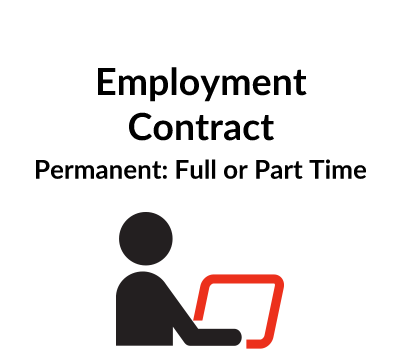 where an employee is serving his/her notice period at home and makes it clear that his/her contractual obligations apply as if he/she was working “normally”. Great care needs to be taken to ensure that there is a balance between the protection of the legitimate concerns of the Company and the right of the ex-Director to pursue a career post-termination. There is a risk of a court striking out any such restrictions that are held to be unduly onerous on an employee. It is important that an employer both takes specialist legal advice and carefully considers, so far as is possible, what commercial interests it wishes to protect before finalising such restrictive covenants. Please note that the restrictions set out here (and especially the provisions set out in square brackets) are suggestions only: there is no general “legally acceptable” guidance: what is reasonable and thus legally effective will depend upon the individual circumstances of both employer and employee. It is always sensible to set out the restrictions as discrete provisions (as at clauses 16.1 and 16.2) so that if one or more restrictions are held to be legally ineffective, there is an increased likelihood the remainder are still binding. Under the Transfer of Undertakings (Protection of Employment) Regulations 2006 where an employee is transferred as part of the sale of a business or part of a business to another employer he/she is entitled to transfer on the same terms and conditions as he/she enjoyed immediately before the transfer (including limited rights in respect of occupational pension rights). Note however that the Director may have a right to claim redundancy if he/she transfers under inferior conditions. Again it is prudent to take specialist legal advice prior to undertaking such a corporate restructuring. This is a standard clause providing that on termination the Director must return all Company property including documents and copies of documents. Again a standard clause making it clear that on termination of his/her employment the Director must automatically resign all positions held within the Company including directorships and, where applicable, trusteeship of a company pension scheme. This clause confirms that the details of such procedures are set out in the Staff Handbook. The primary purpose of this clause is to set out the reasons/justifications for the Company processing personal data of the Director and specifies that such processing may take place outside the European Economic Area (defined as the countries of the European Union, Norway, Iceland and Liechtenstein). It is important that where processing takes place outside the EEA the Company has taken all reasonable steps to ensure that both the country where processing takes place and the individual processing agent have robust policies in place to protect the integrity and privacy of an employee’s personal data. The Director confirms that there are no legal/regulatory impediments restricting his/her ability to enter into the Agreement. Standard provision required for all employment contracts. Again this is a standard clause for most contracts making it clear that any prior arrangements/agreements relating to the employment of the Director have been superseded by this Agreement. Unless specifically excluded/restricted this act allows any third party who can reasonably claim to benefit from the terms of a contract to enforce/amend the terms of that contract even though that third party was not a party to the contract. To eliminate the uncertainty that such rights would bring it is customary to either exclude the provisions of this act in their entirety or, as here, to carefully set out the specific rights that specified third parties (i.e. Group Companies) may enforce. If there are no Group Companies the clause should be re-worded to simply exclude all third parties from enforcing any rights. This clause states that the Agreement is subject to English law and that the courts and employment tribunals of England and Wales have exclusive jurisdiction to hear any claims arising from the Agreement. This provides for the Agreement to be executed as a deed, and therefore being signed in the presence of a witness, rather than by a simple signature. There is no retirement age specified in this contract because from 6 April 2011, retirement ceased to be a potentially fair reason for dismissal. Employers in the UK will be prohibited from issuing new notifications of retirement using the statutory retirement procedure, and notifications issued before this date must relate only to employees whose retirement dates fall before 1 October 2011. If an employer does prescribe a compulsory retirement age, he will have to justify it. Employers that do not prescribe a compulsory retirement age must rely on one of the designated fair reasons for dismissal set out in Section 98 of the Employment Rights Act 1996 to achieve a fair dismissal (e.g. redundancy).